Gorgeous finca of 4.00m2 completely fenced, located close to the village of Es Cubells on the south coast of Ibiza Island. 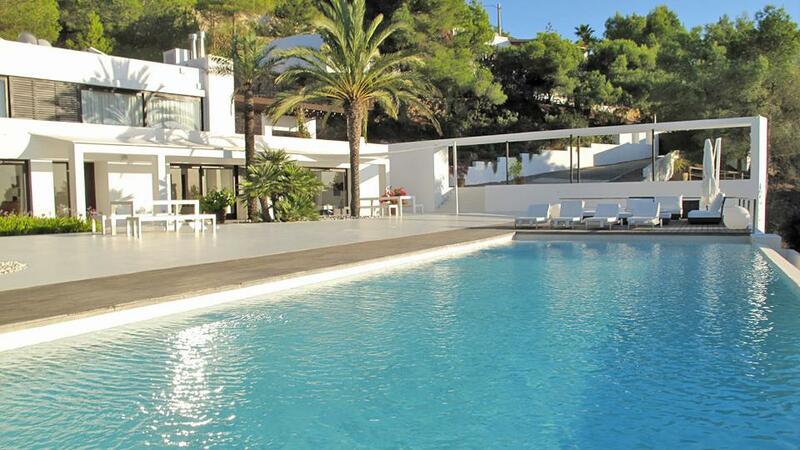 The villa has 300m2 and it has spectacular views towards the south coast and Formentera island. Ibicencan style house with a stone-tower constructed with high quality materials from the island like sabina wood ceilings, natural stone wall… Amazing garden very well taken care of with swimming pool (possibility of adding protection bar for kids, only with previous notification). Room, Ground level. This bedroom has 2 twin beds 90 cm. Bathroom outside the room, With shower. This bedroom includes also air conditioning. Room, 1st floor. This bedroom has 1 double bed 160 cm. Bathroom ensuite, With 2 washbasins, bathtub, shower. WC in the bathroom. This bedroom includes also air conditioning, TV, private balcony. Room, 1st floor. This bedroom has 2 twin beds 90 cm. Bathroom outside the room, shared. This bedroom includes also air conditioning. Room, 1st floor, direct access to the terrace. This bedroom has 1 double bed 150 cm. Bathroom outside the room, shared. This bedroom includes also air conditioning. Spacious salon with sofas and TV with Canal Plus, wood fireplace. Open kitchen towards the rest of the living room fully equipped with vitro hobs, smoke extractor, electric oven, microwave, dishwasher, 2 refrigerators with freezer, one extra freezer, juice maker, Nespresso coffee machine, shaker, toaster, kettle. 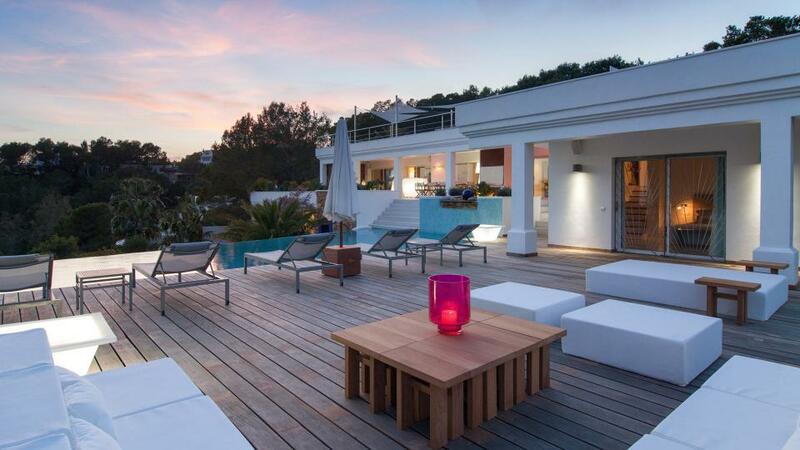 Large terrace with amazing sightseeing. Several terraces, all of them equipped with outdoor furniture. Built-in barbeque with small outdoor basin kitchenette. Laundry machine. Outdoor living room with table for 10 guests with covered ceiling. Chill-out zone with sofas and small table with amazing views to relax and enjoy. Beaches: Cala D’Hort 4km, Ses Boques 4km, Cala Carbo 8km, Cala Jondal 9km. Most beaches of the west coast are in a distance between 5 and 15 minutes by car.